Technically, this is actually Episode Three of my podcasts, but they’re running out of order. Because I feel like it. Anyway, my strong suspicion is that today’s interview with James Suckling (formerly, of course, from Wine Spectator) is going to generate a lot of discussion. 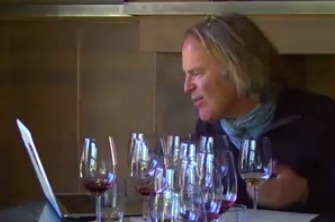 Like Robert Parker, Suckling is a bit of a polarizing figure in the wine world, mostly because for decades he represented concepts that wine geeks have come to either love or loathe: the assignment of numerical scores to assess a wine’s quality, handed down by either experts with exceptional palates honed by years of tastings, or by ivory-tower-dwelling egomaniacs, depending on your point of view of wine scores. In our interview, James talks about his new website (which launched last Monday, but will be referenced as still being in the future as we recorded the interview on December 3rd), his view on wine scores (and why he thinks they’re still important), why he left Wine Spectator, how he expects to make a living out on his own in the wine world; he also has some surprising things to say about wine blogs. No doubt there will be many of you who will think I either wasn’t respectful enough or wasn’t hard-edged enough in this interview (likely depending on your points of view of wine scores). 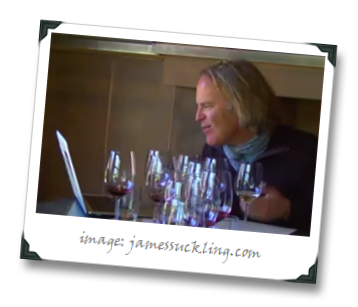 I think what you will find, if you keep an open mind, is that James shows a side of himself in this interview that isn’t evident in his Wine Spectator writings or his film appearances. As always, my interview approach is centrist; it’s meant to have the person voice their views themselves, in the most human and direct way possible; we can of course explore, debate, and discuss our reactions in the comments – which (as always), I encourage you to do! Very difficult to listen to with a lot of breaking up, but I have to say that I would have stayed with it had James not said that writing is less than three dimensional. Maybe his writing is one dimensional, if that's what he believes, but the beauty of good writing is that it places the reader's cognitive functioning and imagination in the driver's seat. The dimensions, whether one or three, come from how well the writer is able to stimulate the reader. Thanks, Thom – it's not something I noticed during the interview / chat but your interpretation makes sense; although I suspect he meant it more along the lines of the video being able to offer the possibility of seeing wine regions and that enhancing the coverage somehow. Which I could understand – having just been in the Duoro, it would be very difficult for me to capture that grandeur in words alone. Having said that, I've been moved more by writing than by video and photos during my life. Cheers! I loved your recent interview with James Suckling. I can't believe he plans to generate wine content 365 days a year? Go James! P.S. As a former Los Angelina, I felt his pain driving on whatever freeway he was on. Hi Stella – thanks for the comment, I too know the pain of driving the LA freeways :). I feel no nostalgia for the 405 going any direction): It was an art form keeping away. What I most remember about driving the LA freeways was that it was at the time of the road rage shootings out there… so I was a VERY polite driver at the time! I left LA for that year but I remember the incidents being parodied in LA story. I wasn't going to take a chance that any of it was a parody while I was driving. :) I really enjoyed LA Story, by the way! He'll "taste with them and see if they're right"…how nice of him! Hey vinogirl – yeah, that one struck me as odd and I tried to get my head around it in the interview (but failed), but did gt to ask the clarifying question (at first I wasn't sure if he was going up against picks by other writers/critics, etc.). I think it's fun to have someone with a lot of tasting experience potentially highlighting bargain wines, which I suppose those tastings could do; but on the other hand, it feels arrogant in some ways to pass judgment on wine picks from the staff of a small wine shop (in my opinion, it would be more interesting to do that with a Costco or large shop/chain for example, to see if they are trying to push swill on the populace by making it a "staff selection" because they're overstocked, etc. – I'm NOT saying Costco does that, this is a hypothetical only of course). Otherwise, if it's just Suckling (or any other critic) coming in to say "I'm gonna tell you if you know what you're doing" then as s shop owner I'd be like "uhmm… no thanks; oh, yeah, and I'm gonna tell you to go f–k yourself!" But this is great to get this sort of comment, and it's why I offer the interviews this way – so that we can talk about this sort of stuff in this forum and discuss the actual words out of people's mouths, rather than through press-releases, etc. I never knew we could search like that it’s interesting and something I might look into when I find some free time! Re, Vinogirl's comment and your response, Joe: I saw two of James' intro videos and I was appalled. I felt sorry for the wine producers whose looks on their faces as this critic sampled their wines and blurted, "I'm an 85 on that…"
Curious phrase and way to evaluate wine: "I'm an 85 on that." Proves that the evaluation isn't really about the wine, but about the critic–I'm is merely a contraction of I am! Thom – live by the scoring system, die by the scoring system I suppose. Seems like JamesSuckling.com is going to be an interesting experiment in the dynamics of personality. For all the interesting content on the site its still going to boil down to whether people can stand listening to James or not. I suppose it must be hard when you've been cast as a wine rockstar for so long, for those egotistical "check if they were right" moments not to slip out. And looking at the previews there seem to have been quite a few of those kind of moments. It was nice to hear James talking to you because I got to see a more human side, and I hope for his sake that he has someone that can advise him on bringing out that human-ness more, so that we don't get turned off. Thanks, Matt – yeah, I got the same impression and I was taken a little off-guard by that. I mean, he's kind of a charming guy and yes some of the stuff comes off as arrogant, but he also is clearly trying to make a buck like the rest of us and is still passionate about wine and those things are also kind of endearing. As with many of these figures (Spectator, Parker, etc.) associated with wine scores, it's easy to demonize but harder to live with the shades of gray – and the reality is almost always shades of gray! I say this with great respect and admiration for Neal (his wine reviews on Bordeaux are exquisite).To deny the importance, influence and power of social media is like saying the EARTH IS FLAT. Many wine critics (Robert Parker himself is on Twitter, so is Eric Asimov, James Suckling, Gary Vaynerchuk and uber wine critic Jancis Robinson) have gotten how essential it is to connect to a wide and growing readership base via social media. You mentioned the Millennials. I attended a Wine Council Conference about Millennial wine drinking trends at the beginning of this year in NYC hosted by Nielsen and Wine Council. Millennials (ages 23-32) believe that wine is non-elitist and should be presented in a non-intimidating, accessible way. They are influenced by packaging more that than any other group. They either reject or approve a purchase of wine based on packaging. They are open-minded. They buy more imported wine than any other group (41% Millennials, 31% Gen X, 24% Boomers* Nielsen). They are the generation of the information age. (Importance of online information when purchasing wine: 36% Millennials, 29% Gen X, and 22% Boomers* Nielsen.) They are accustomed to having vast amounts of knowledge available in real-time on-line. The earth is ROUND NOT FLAT. Let's not deny the laws of nature. Thanks, Stella – just to clarify, on the post to which you're referring, not all of the argument as I framed it comes from Neal, as I tried to explain but apparently didn't do very well (and for which I apologized to Neal in the comments on that post). I do of course agree with your comments about the Millenials and that the wine industry needs to wake up to the changes that are coming! 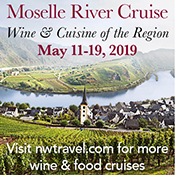 Trackback from Terroirist » Blog Archive » News Roundup: Chinese Invasion! Trackback from Terroirist » Blog Archive » Is James Suckling is a Douche?